This post is a brief overview of the 10 day itinerary for our trip to Morocco in September of 2017. There are links below that delve into each destination a little more. If you are planning a trip, and have any questions feel free to reach out or commit below! That being said, we were happy with our time in Morocco and how we choose to allocate it for the most part. If we were to change anything we would have skipped Casablanca and perhaps added an overnight trip from Fes to Chefchaouen or a night or two along the coast in Essaouira. Nine nights gave us enough time to get an introduction to both Fes and Marrakech, time to wander the streets and historical sites as well as relax at our beautiful accommodation. We used several types of transportation while in Morocco. We flew into Casablanca, took the train to Marrakech, drove from Marrakech to the Sahara and then to Fes with a hired tour, rode a camel into the desert, and then took a train to Tangier where we caught a ferry to Tarifa, Spain. The trains were comfortable and affordable. We weren’t able to book tickets online, and wanted to ensure we got first class seats (as they were still affordable but ensured air conditioning and a reserved seat) so we went to the station a day prior to leaving each destination to buy the tickets in person. However, none of the trains we were on seemed overly crowded, and it seemed like we could have booked day of. The trains were reliable in the sense that they got us from point A to point B safely and comfortably. They were, however, not timely. Our train from Casablanca to Marrakech left the station over an hour late, and although our train from Fes to Tangier left the station on time, we arrived almost two hours after we were scheduled to as the train would stop in the middle of nowhere for long durations of time for no apparent reason. So, my advice is to give yourself more than enough time to get to your destination, and have a good book or some downloaded podcasts for your journey. The following posts provide a little more detail and color into our travels in Morocco and how we decided to allocate our time. 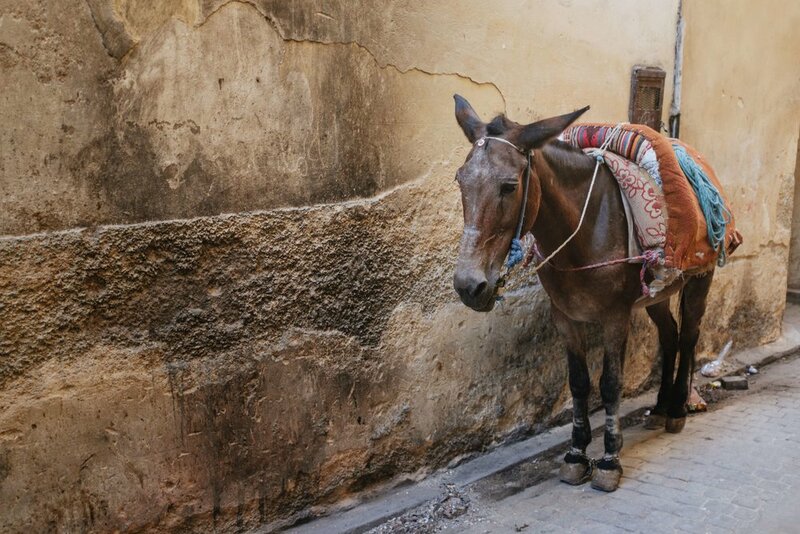 One Night in Casablanca, Three Nights in Marrakech, Two Night Tour to the Sahara & Riding Camels into the Sunset, and Two Nights (+how not to get hustled) in Fes.